I wondered if you only research coal mines as this is a family member who was killed and son and daughter who live in Australia are keen for any information. The person who was killed WA Frank Wilson and the mine is near Eyam. Any crumbs of info would be welcome. 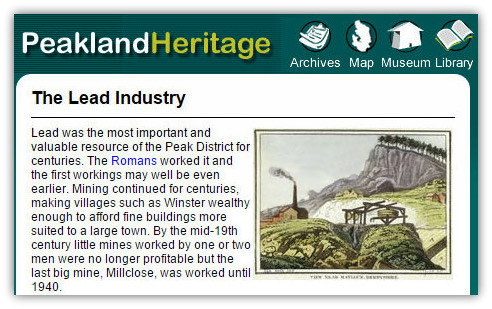 A good source of general information is the Peakland Heritage Site. In Ancestry the only entry I could find is in a private section so is minimal:- Frank Wilson born 1909 in Handsworth, Yorkshire, died 23rd May 1952, Eyam, Derbyshire. Parents, father Frank Wilson, mother Ann Maria Parkes. One of the deepest lead mining shafts in the Peak District, that of New Engine Mine worked part of the very productive Eyam Edge Vein. The shaft was sunk through sandstone and shale and ultimately reached 1092 feet in depth. The steam engine here was made in Sheffield by Davy Brothers and installed in 1863 and worked here until 1884. The engine's beam is reputedly still wedged part way down the shaft, which is now capped by concrete. 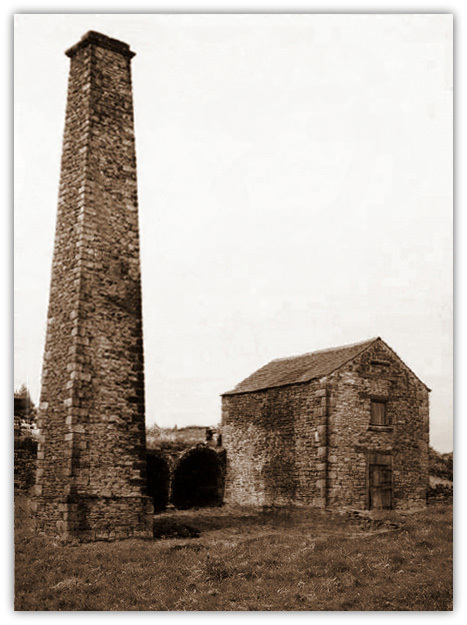 Regrettably, the fine chimney shown here has since been demolished. To the left, in the distance, is the site of Ladywash Mine, last worked for fluorspar but, like it's neighbour, is now disused. The mine is situated above the plague village of Eyam. It was a ‘mixed ore’ mine which tapped into the Hucklow edge veins. It was opened around 1936 by Glebe Mines Ltd to produce fluorspar for the steel industry (used as flux). It was then taken over by Laporte Industries Ltd in 1959 and operated until it was placed on care and maintenance in March 1979. In March 1986 the headgear was removed and the shaft capped and fenced off. Today the main buildings are still intact and the shaft, although sealed with a metal grid and fenced off, is still in-situ.